Advent is my favorite time of year for snuggling up with a stack of beautiful picture books. Add a hot drink, snuggly boys, twinkly lights, a roaring fire, and it is pretty much the best evening imaginable. Don’t underestimate the ages that can enjoy a beautiful picture book. 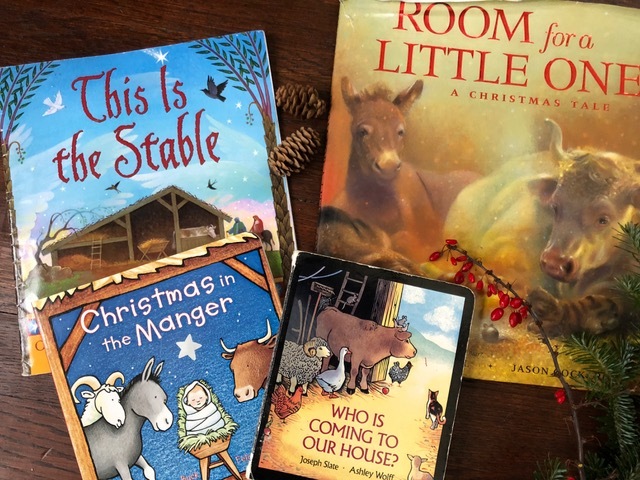 When you consider that many Christmas picture books simply illustrate the words of the bible with beautiful artwork that draws the reader’s imagination deeper into the story, it becomes plain that even adults can read them devotionally. 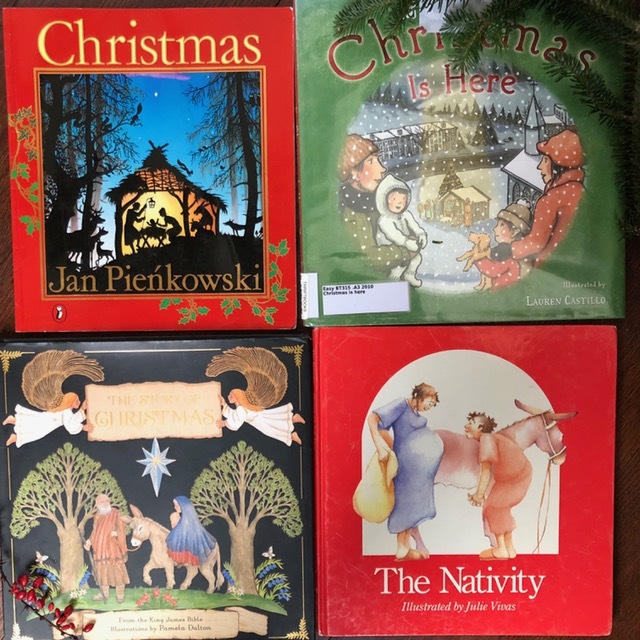 There are so many exquisite Christmas picture books available, that the real challenge of this piece is whittling down the list to a manageable number. These are twenty of our family’s favorites broken into five categories to help you find the best fit for the ages and stages of your family. So head to your library, bookstore, or the Amazon marketplace and while you are at it, pick up some hot chocolate and marshmallows then prepare to snuggle up in front of twinkly lights. These are the books that make great baby gifts and preschool secret Santa presents. Because they are truly good books, they will remain sweet favorites through the years, but as many are board books, they are perfect for the littlest members of our families. Christmas in the Manger written by Nola Buck, illustrated by Felicia Bond This board book gives a page and a short rhyme for each animal and main character in the Christmas story. It is simple and has been a favorite of my toddlers. This is the Stable written by Cynthia Cotten, illustrated by Delana Bettoli Following the structure of “This is the House that Jack Built” this book tells the story of the first Christmas with great rhyme and rhythm. The illustrations have lots of details to pull readers deeper into the story. Room for a Little One: A Christmas Tale written by Martin Waddell, illustrated by Jason Cockcroft Akin to Who is Coming to our House, this book watches the animals in a small stable as they welcome others into the warmth with the refrain “There is always room for a little one here.” The illustrations have a magical quality to them and I love reading this one out loud. These books illustrate the biblical text of Jesus’ birth. Even though they all use the same words, it is worth reading several (or even all!) of them because each approaches the story in a unique way. You can view the illustrations by clicking the title name and “looking inside” the books on Amazon. Christmas is Here text adapted from the KJV bible, illustrated by Lauren Castillo This book is full of wonder. It begins wordlessly as a small boy and his family encounter a living nativity. As he looks at the baby he begins to imagine the story from the Gospel of Luke and illustrations of the first Christmas begin. When the text comes to “and saying ‘Glory to God in the Highest’” the illustrations come back to the small boy, his family and community all looking in wonder at the living nativity. Appropriate for any age child or adult, this is one of my very favorite Christmas books! 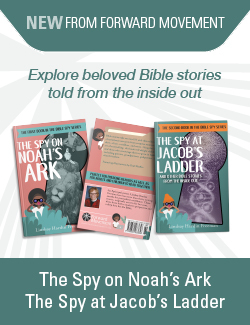 The Nativity text from the KJV bible, illustrated by Julie Vivas This book uses wordless pages to fill in gaps in the text and has a touch of humor and joy woven through it. The illustrations are simple and the text spare, but it is a deeply moving book. The Story of Christmas text from the KJV bible, illustrated by Pamela Dalton This book uses the biblical text to tell the story from the annunciation to the holy family’s return to Nazareth. The illustrations are beautiuful and while the same topics are covered as in Christmas by Pienkowski (see below) it brushes over the darker elements with a lighter brush and would be better for a more sensitive child. Christmas text from the KJV bible, illustrated by Jan Pienkowski This book has the most complete telling of the Christmas story of the four listed. As it includes shepherds, wisemen, and Herod trying to kill baby Jesus, it is probably better for older children. The silhouette paper cuts are very effective at enriching the story and drawing the reader deeper into the text. While the text of these books isn’t directly from scripture, they each recall the nativity story in the author’s own words. The Birds of Bethlehem written and illustrated by Tomie dePaola In this story the birds of Bethlehem describe what they have seen surrounding the birth of Christ. The bright drawings and simple text are wonderful for preschoolers, but I have been surprised how much the third graders I teach enjoy discovering what the birds are referring to as the story unfolds. 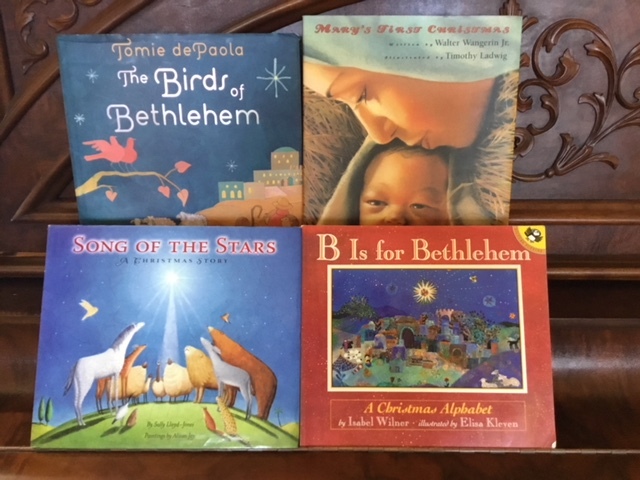 B is for Bethlehem written by Isabel Wilner, illustrated by Elisa Kleven This beautiful alphabet book has a wider audience in mind than preschoolers learning their letters. B is for Bethlehem; H is for Heavenly Hosts; V is for Venite, and W is for Worship. The language is rich! Mary’s First Christmas written by Walter Wangerin, Jr., illustrated by Timothy Ladwig This is a beautiful picture book with four chapters that might be best for an older child (or adult) as it shows Mary telling Jesus the story of his own birth. That said, my four year old begged for me to read another chapter every day after school over the first week of Advent this year, so obviously it is accessible for a younger child who enjoys listening to a longer story. 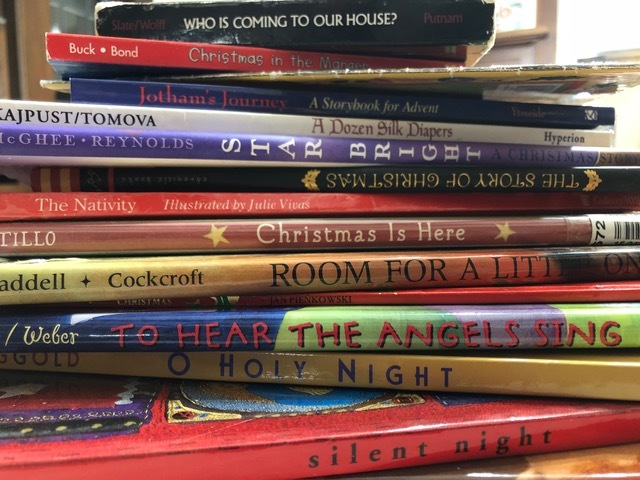 These are all stories based on the Christmas story but add an imaginative element which helps children engage in the story. At this stage these are the ones my boys, who know the story well, seems to gravitate toward and delight in most fully. A Dozen Silk Diapers: A Christmas Story written by Melissa Kajpust, illustrated by Veselina Tomova This book has delightful illustrations and shows key elements of the Christmas story while also telling a story of using what we have to make gifts of love. When Mary is kind to a baby spider that falls into the manger, the spider family wants to give her a gift, but what can they bring? The Best Christmas Pageant Ever written by Barbara Robinson This classic book is funny and one of our very favorite read-alouds as a family. It is seven short chapters and we’ve cuddled up next to the fire with hot chocolate and read the whole story in a single afternoon. The story of Christmas is sprinkled throughout as the characters prepare a church pageant. Readers and characters alike are challenged to think about the meaning of Christmas in a new way. Jotham’s Journey : A Storybook for Advent written by Arnold Ytreeide Jotham is a boy from the time of Jesus who finds himself alone on a journey to Bethlehem. This book is new to us this year and we are really enjoying the story. This wonderful book helps readers understand the cultural context of the first Christmas. It is written with a short chapter for every day during advent, accompanied by a short reflection. That said, it works just fine to read it as a chapter book through the season if you have other daily traditions. Worship is such an important part of the season and singing songs about the birth of Christ is a wonderful way to share the story. I sing these books at home and in my classes at church and school as often as I am able. Little Drummer Boy written and illustrated by Ezra Jack Keats We love singing this book so much that it lives on our shelves year round. Keats’ illustrations are perfect for the familiar song, bold and yet gentle. Go Tell it on the Mountain written by Debbie Trafton O’Neal, illustrated by Fiona King Go tell it on the mountain is is a song my children have enjoyed, thanks to this book, since my oldest was six months old (I have videos of him “singing” and clapping along to prove it!). And, the woodcut type art in this book is lovely. Silent Night illustrated by Lara Hawthorne Newly published, Hawthorne’s Silent Night is a delicious book. The illustrations are an inspiring base for children’s art projects. I love the tiny houses and animals that invite the reader to linger a little longer on the page and look deeper into the story. We Three Kings illustrated by Gennady Spirin I can’t leave out this book because it is an absolute favorite of my boys. Spirin‘s illustrations are more classical in feel than most children’s books, but in our family they have been poured over. This is one of the first books the boys search for when the stacks of Christmas books appear each Advent. 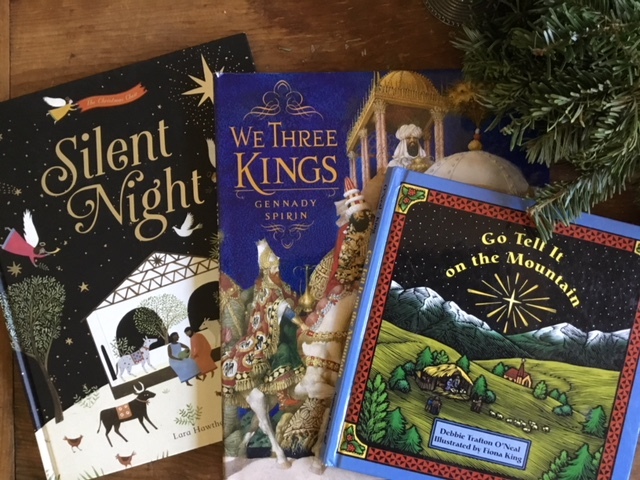 So, there you are, lots of delightful books to tuck under the tree and enjoy through the twelve days of Christmas as you draw close to the great mystery of Christ’s birth. Enjoy! What are our family’s most cherished Christmas books? Which ones will you add to your collection this year? Thank you for an excellent list of Christmas books for children( & adults who are children at heart)! I already have 2 of them! I’m so grateful for this list, Emily! The board books were all new to me and I just ordered them for my church and to send to a niece who will be arriving in the world next year! Hi- I’m wondering if you could modify this article and indicate which of these books shows Mary, Joseph, and Jesus as they were (a Middle Eastern family, with brown skin). 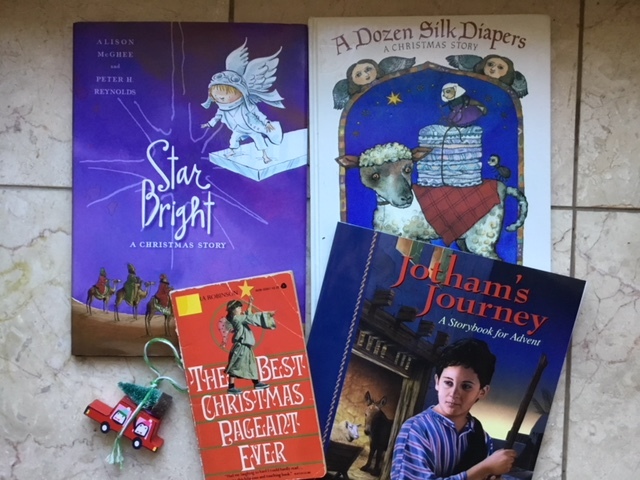 I’ve been struggling to find books to read to my toddler about Christmas that reflect him, as an Asian kid, and are true to the life of Jesus as a middle Eastern man. He loves “Who is coming to our house?” but it drives me nuts that baby Jesus is blond! We are also trying to make sure our church nursery doesn’t only feature books with white Jesus. Thank you! Yes, I’m happy to point out which of these books show the Holy Family as dark haired and skinned. This is important to me as I choose books and in my original draft of this piece (which was far, far too long) I noted this about some of the books. I don’t cull all books with blond babies and light skinned characters, but middle eastern looking characters are something I favor. I was hoping there would be more photos in this piece to help show this very thing, but they were cut due to the length of the piece. 🙂 If you have questions about any particular book I have images I am happy to send to you or you can look on Amazon if that is simpler for you. This is the Stable, Christmas is Here (the images in this are sketchy in the moonlight, but all the characters have dark hair), and Mary’s First Christmas all plainly show dark haired and olive skinned characters. We have always loved Susan Jeffer’s Silent night, but I was so excited when I saw Hawthorne’s Silent Night that came out this year. All the human characters are various shades of brown!